Size: approx. 5 mm. Photo: 06/22/11, 7 am. I found this 1/4'' long fly on our front door. It has fancy antennae and a small forked "tail end". This insect is a non-biting midge. I believe it belongs to the Chironomidae family which has 700 known species in North America. Some species have strikingly red, aquatic larvae which are known as blood worms. 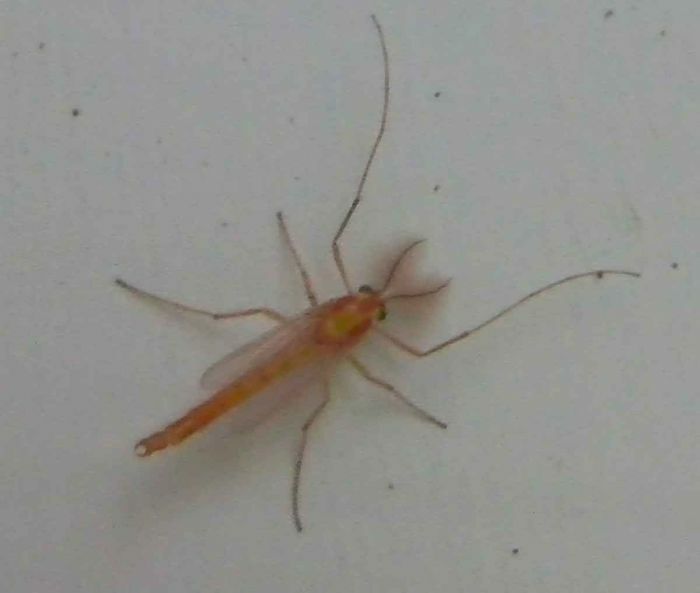 This one looks like it could belong to the genus Chironomus. I will list it accordingly but it feels more like guessing.